OpLike ke liye kuch bhi karega. 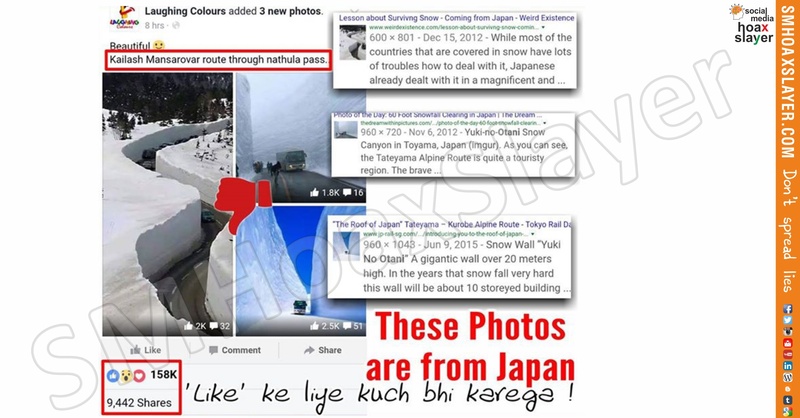 Truth: It’s years old photos called wall of snow from Japan. Cleared this twice earlier, n year back too. Once again caught with pants down.